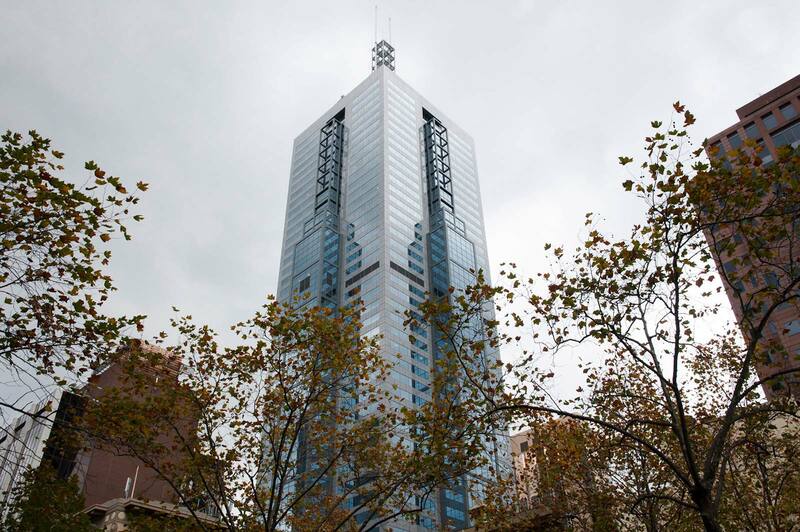 101 Collins Street is one of the largest office towers in Melbourne, with 44 office and 14 retail tenants, and a total of 3,500 staff occupying 83,000 m2 of lettable area. As part of its strong commitment to reducing its impact on the environment, 101 Collins Street engaged Great Forest Australia to tackle resource conservation and waste management at the building in 2008. The initial recycling and waste audit conducted in 2008 had found that 65% of waste that was going to landfill could have been recycled. This prompted a change to the way in which staff disposed of their recycling and waste, with removal of individual rubbish bins at desks, in favour of central bins for landfill and recycling. Paper; cardboard; plastic, glass and metal containers; organic materials; ewaste; printer and toner cartridges; polystyrene; and miscellaneous other types of waste, such as furniture and office equipment. Management Commitment: 101 Collins Street Management and Consolidated Property Services were fully committed to the program from the beginning, and took a very ʻhands onʼ approach. Partnership: A coordinated approach and effective communication between 101 Collins Street Management, Consolidated Property Services, and Great Forest Australia kept all parties in the loop on the programʼs progress, and meant that any follow-ups with tenants were promptly handled. Flexibility and Creativity: Due to the diverse nature, type and size of the buildingʼs tenants, we needed to be aware of their particular needs, and be able to provide creative solutions to their specific requirements that also took into account the objectives of the building-wide program as a whole. Patience: Not all tenants were ready to start the program at the same time. Great Forest Australia worked very closely with larger tenants to ensure that they had all the statistics, information and resources they needed to gain support for the program from their staff. For some tenants this involved making multiple presentations to various groups, boards, and committees.